Awaken with youthful-looking, soft skin. Melting into the skin to nourish it with intense moisture, this pampering mask offers a sensation of well-being and comfort. The best anti-aging, hydrating night cream mask that luxuriously refines wrinkles, loose skin and signs of aging during the night. Inspired by 20 years of research on skin stem cells, Lancôme has created the Absolue Precious Cells Anti-Aging skin care collection, the very best anti-aging skin care product line in the market. • Enriched with Pro-Xylane to help reduce the signs of aging. • Skin appears visibly rested, replumped and refirmed. • The eye contour appears smoother and looks rested. • Wrinkles and fine lines appear reduced. Apply and blend a small amount of cream between two fingertips. Smooth over the upper and lower eye contour and crow's feet with light strokes. Gently pinch the eye contour to stimulate and firm. • Repeat 3 times. 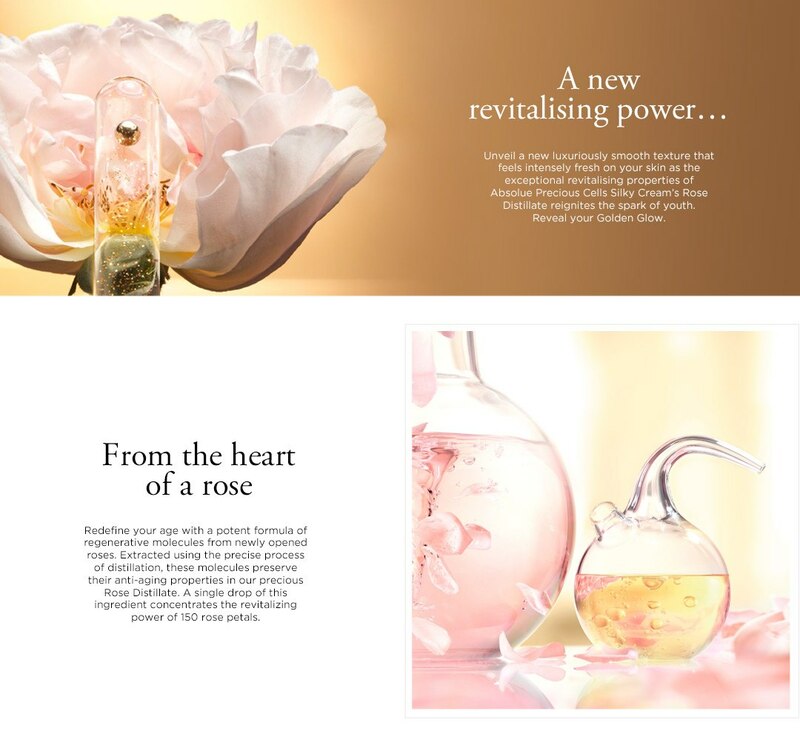 Lancôme reveals the biological power of the rose and develops a specific rose freeze distillate, capable of reactivating one of the most complex skin biology mechanisms, revitalisation.